Previous Post: Main Streets, the Communities Gathering Places | Next Post: We Just Announced Two Exciting New Programs! Last week while visiting the great folks at Moberly Main Street, I had the opportunity to hear author and revitalization maverick Ron Drake. 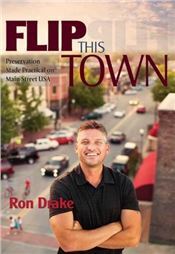 Ron wrote the book Flip This Town and has been a speaker/presenter at National Main Street conferences in the past. The Moberly Chamber of Commerce hosted Ron as the keynote speaker at their annual dinner and I was invited to sit at the Main Street table…thank you Moberly Main Street. Ron grew up in California where he was in the construction business. After visiting Siloam Springs, Arkansas, he fell in love with the community and moved there where he began buying, fixing and selling properties. Having never been a commercial property owner or developer myself, it was very insightful to hear about revitalization from the developer’s perspective. From the presentation in Moberly, you can tell that Ron loves properties and he details his passion in his book where he talks about the ability to see through the walls. Ron can see through the botched renovations or previous “upgrades” that hide the building’s details. Through his restorations, Ron uncovers those features and brings back the true character of the building. One of his first building rehabilitations was a two-story residential building that suffered damage from a fire. Ron saw the potential and turned it into a multi-family apartment showcasing the character of the building while adding in his own creative touches. The building also served as Ron’s office before it was sold this past month. Ron shared that these projects don’t have to be expensive. 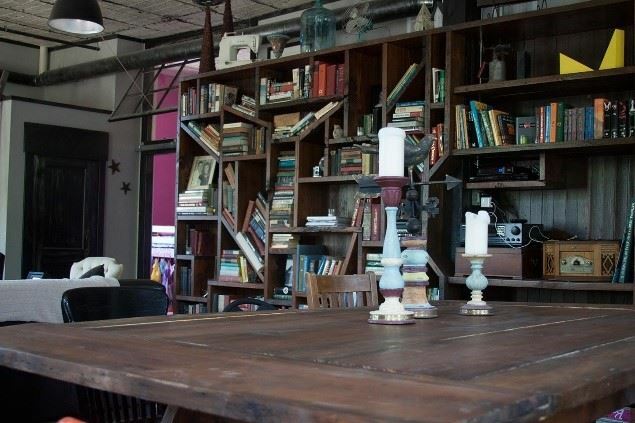 He is the master of finding cheap ways to transform properties into hip, classy places that people want to live, shop or eat. He likes to reuse and recycle materials to give a unique look to his restorations. Ron talked about and shared many of his success stories. As the years passed, he moved to larger and larger projects. He shared his best and worst project, the Creekview Flats. He was denied financing, a first for him. Every day he was asked about the project and felt his past success had prepared him for this rehab. After convincing his wife’s boss to back the project, work began on creating high-end apartments. He went over budget and removed too much of the building’s historic nature by adding an overdose of artistic bling. Even with these issues, the project was a huge success because it garnered local, regional and national attention highlighting the turn-around taking place in Siloam Springs. When working on a project, Ron uses his “preservation made practical” approach. If you think about how different entities/people look at a historic building, nothing will ever get done or it will be more costly. Electrical inspectors want all new wiring, the building inspectors want a more secure foundation or new plumbing, and the banker wants a good termite inspection and positive cash flow. His “preservation made practical” approach first looks at the structure of the building and then designs the restoration around a practical, affordable, creative and vibrant plan. Some properties were more historically accurate while others were more simple and practical. Became part of the Arkansas Downtown Network, the state-wide program. Took advantage of every training opportunity offered by the state Main Street program. Aligned themselves with the Siloam Springs Chamber of Commerce. Started meeting with large corporations in Siloam Springs. Applied and was approved to become an official state Main Street program. Became the “go-to” organization in Siloam Springs. Started seeing the fruits of their hard work with growth in businesses, events and life. The culmination of these factors lead to Smithsonian Magazine naming Siloam Springs as one of the 20 Best Small Towns in America in 2012. As Ron would say, Siloam Springs was an overnight success that took over six years. 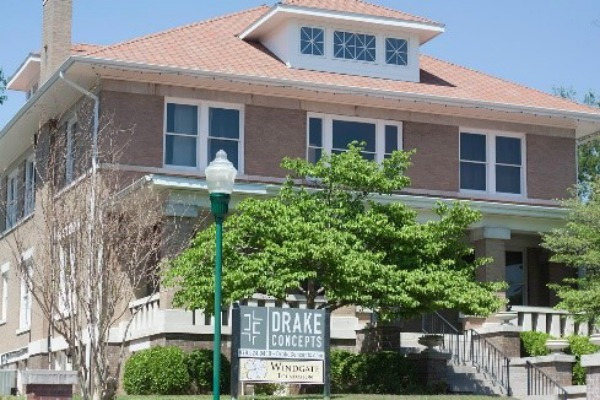 Ron Drake now serves as a consultant sharing the successes and inspiration of Siloam Springs. Ron is passionate about what he does and loves to share his story. You can find out more on his website at http://rondrakeconsulting.com/. You can also pick up his book at your local bookstore or on his website. Ron is a true inspiration and you can bet Siloam Springs is on my “to visit” list.